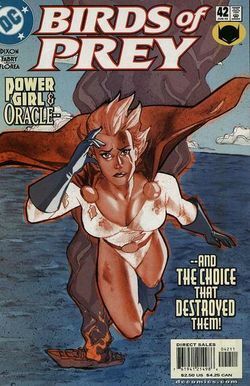 Finally, we have reached the issue where we get to discuss the backstory of why Power Girl has had beef with The Oracle. Yep, we are interrupting the Bruce Wayne Fugitive saga with this back story between the early days of Barbara Gordon and Power Girl. Yes, before there was Oracle and Black Canary, this could have been the team; however, with plans sinking like a ship, these two have never been the same.